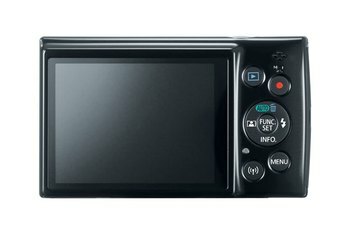 The ELPH 360 HS has a 12x optical zoom and 20-megapixel HD sensor for great stills and 1020p, 30-frames-per-second video. A simple button gives quick connectivity with Wi-Fi and NFC. The optical image stabilization and face detection focusing help with the long lens, plus you can optionally focus manually. 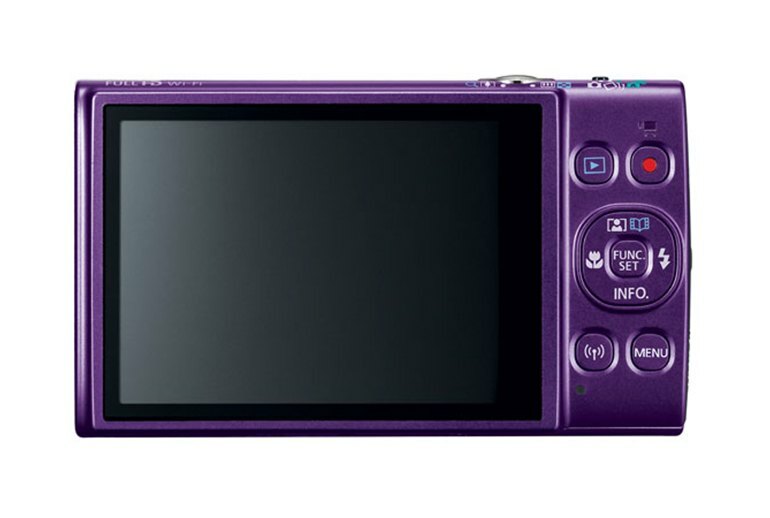 There is no built-in viewfinder, and the non-touch LCD screen is fixed in place. The zoom lens is a slow f/3.6 to f/7.0, and the maximum ISO of 3200 makes it tough to get a picture in low-light situations. 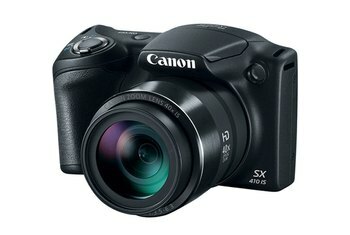 With no manual exposure and no external flash shoe, this camera isn't aimed at advanced photo enthusiasts. 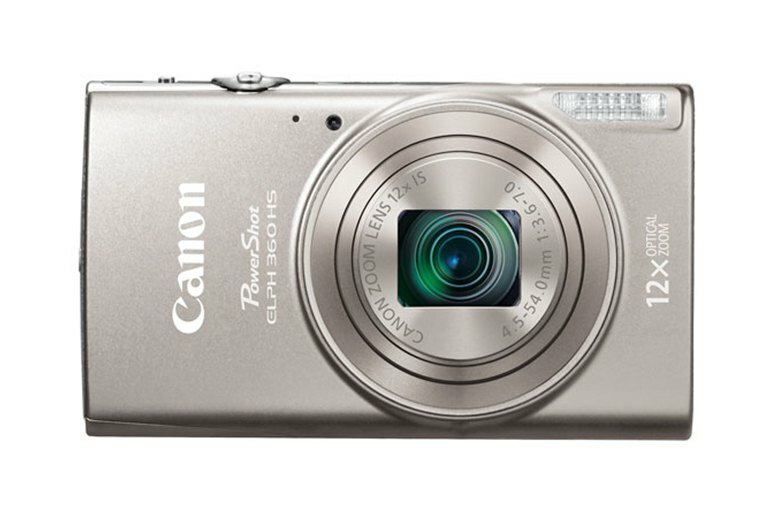 The Canon PowerShot ELPH 360 HS with a 12x optical zoom and a CMOS sensor that captures video up to 1020p HD at 30 frames per second is a step up from the ELPH 190 IS. 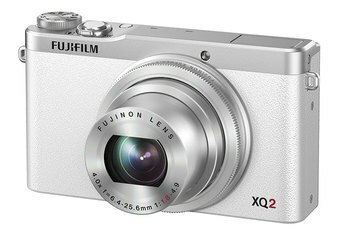 The 20-megapixel sensor provides auto ISO of 80-3200 for low-light images, though the slow f/3.9-f/7.0 zoom lens might limit that. With a built-in Wi-Fi button, you can connect to your devices through Wi-Fi or NFC. 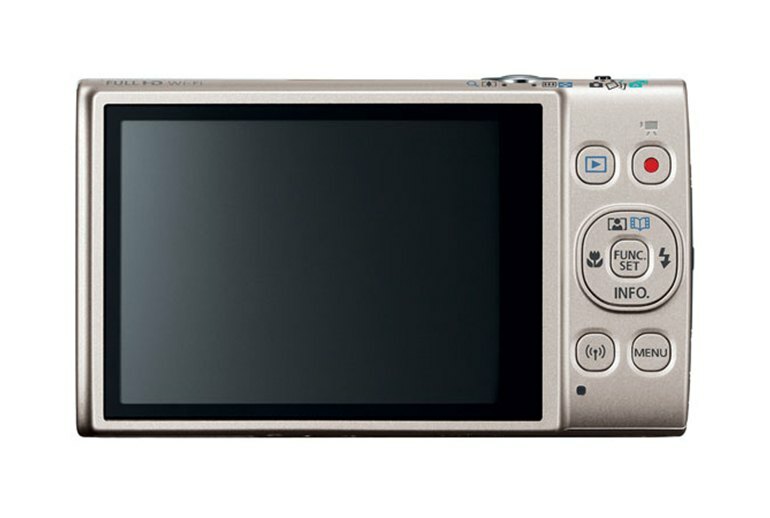 Truly a compact camera, the 3-inch non-touch fixed LCD screen almost fills the ELPH 360’s back. The rechargeable lithium battery gets about 180 shots per charge with the built-in Wi-Fi, which comes up a little short of its predecessor that had no Wi-Fi. The Canon ELPH 360's LCD screen is sharp and bright, again ranking it slightly ahead of other $200 cameras. However, it is not a touch screen display, which can greatly simplify the operation of a camera for inexperienced photographers who may be more familiar with operating a smartphone. Speed on the 360 is pretty slow--the burst speed is just 2.5 fps. That's an improvement over the 190's .8, however. The camera is powered by Battery Pack which provides a battery life of 180 according to CIPA standards. 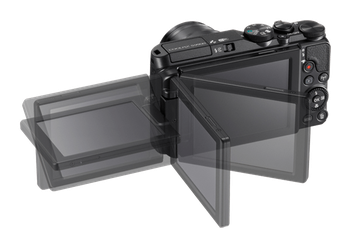 Considering that the average battery life of Compact type cameras is 243 shots, Canon ELPH 360 HS has a short battery life for its class. Paired with this sensor is a DIGIC 4+ image processor, which should allow for nice, detailed images and a native, non-expandable ISO range of 80-3200. 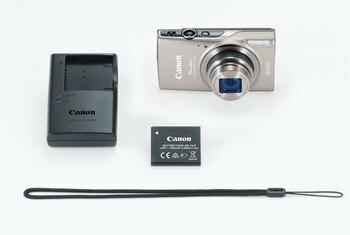 When compared to other compact point-n-shoot digital cameras at the $200 price point, the Canon PowerShot ELPH 360 HS is a good option. It certainly doesn't excel in any one area, but it's a good enough all-around camera for the amount of money you're paying. 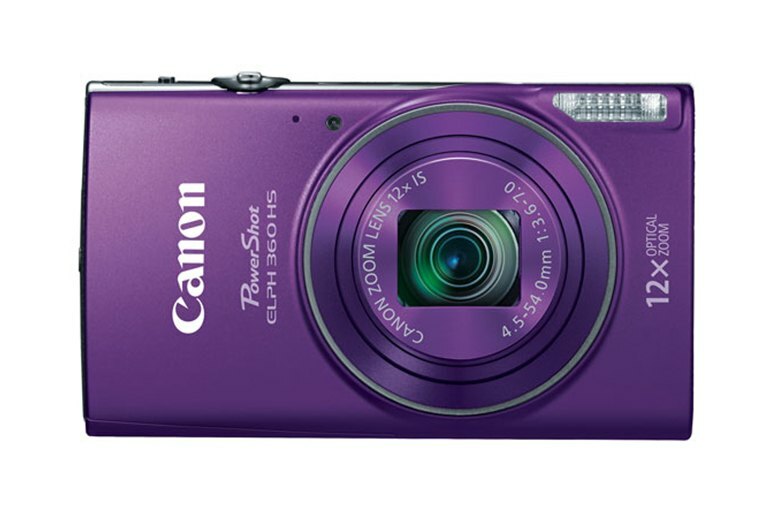 [T]he Canon PowerShot 360 doesn’t offer a standout feature … other than an impressive price. It does have quite a few solid features that make this a good value among budget priced models. Cheap cameras like this also have the advantage of being extremely simple to use (perfect for your technophobic family members). 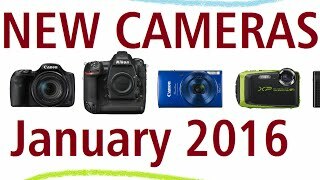 And their low price means that if the camera is lost or damaged, it’s a lot less painful, making these models great first-camera choices for kids and teens.